You are at:Home»Herbs»Olea europaea Linn. Latin name : Olea europaea Linn. 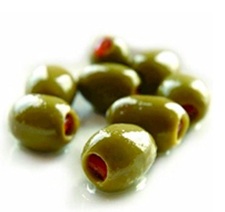 Description : Olives have been cultivated by the Arabs for at least 3000 years. Hippocrates regarded it as both a food and a medicine. Olives have antiaging, anticarcinogenic, antiinflammatory, antioxidant, demulcent, emollient, laxative and vasodilator properties. The oil is rich in monounsaturated (oelic acid) and polyunsaturated fatty acids (linoleic and linolenic) as well as in vitamin E, and has powerful anticholesterol action in the body that prevents atherosclerosis, heart attacks and strokes. It also helps to lower blood pressure and the risk of blood clots. The oil is highly mucilaginous, and its demulcent properties have long been used to treat a variety of digestive problems, including wind, indigestion, heartburn, gastritis and peptic ulcers, colitis and constipation, and respiratory problems, particularly harsh dry coughs, laryngitis, croup, and catarrh. The oil reduces gastric secretions and is therefore of benefit to patients suffering from hyperacidity. Olive oil may counteract the spread to cancer and retard the aging process through the action of its antioxidants. In a recent study conducted by Dr Javier Menendez, of North-western University Feinberg School of Medicine in Chicago and published in the journal ‘Annals of Oncology’ it has been found that oleic acid, the main component of olive oil, blocks the action of cancer-causing oncogene called HER-2/neu, which is found in about 30% breast cancer patients. Olive oil helps dissolve cholesterol deposits, lowers levels of low-density lipoproteins (LDL), and increases blood flow. It is mild diuretic and, because it stimulates the bile, it is used in the treatment of gallstones. It is rubbed on babies skin to provide extra nourishment. It also protects the skin from irritation and makes it more supple. Externally, it relieves pruritus, the effects of stings or burns, and is a good vehicle for liniments. On application the oil firms sagging breasts and prevents and treats stretch marks due to pregnancy, and for protecting the skin from ultraviolet (UV) damage after sun exposure. Recommended Dosage : 10 to 25 ml oil. Contraindication : Ingestion of excessive amounts of oil may cause temporary mild diarrhoea. In rare cases, topical use may cause allergic reactions.